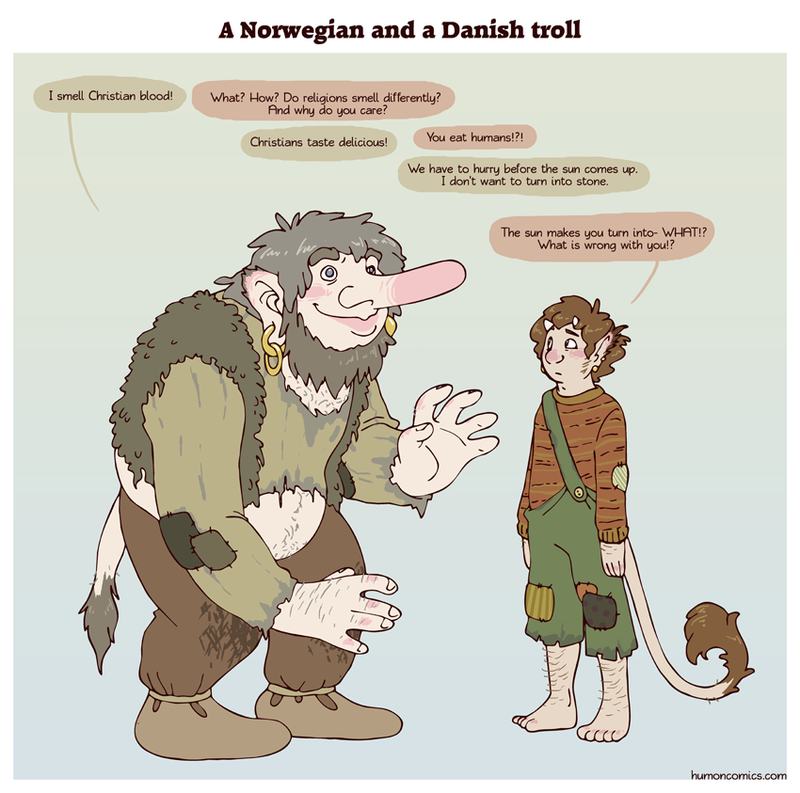 Even within Scandinavia troll lore is pretty different from country to country. What most people know as Scandinavian trolls are actually specifically Norwegian trolls. Actually the difference makes sense. Trolls are a kind of personification of nature, and the Norwegian landscape is a LOT more dangerous and scary than the Danish! The odd cousin. Every family has one. I find myself wondering if the Norwegian Trolls would find Scientologists delicious. This is the first comic I've seen on this website aside from Scandinavia and the world. 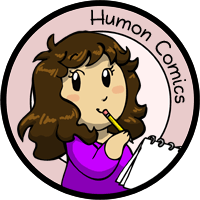 I've a feeling that there's a lot more to Humon than just country puns, but I still love this! Sollux: II don't know how you 2urviived the triial2 iin the wriigling cavern2! @mithril From what I've read, swedish trolls were very similar to humans. They had similar lifestyles and habits, however since they were magic users and not a part of the swedish church they were feared by humans. Although apparently there were some places were humans and trolls lived in peace, trading goods with each other and such. It really depended how you treated them really. They reward generosity and kindness and punish those who are greedy and selfish, similarly to many other mythical beings. However trolls were seen as monsters in most places and there are countless stories of them kidnapping people and stealing newborns. It should also be mentioned that swedish trolls often were depicted as shape-shifters. They would often appear as black cats (sometimes even posing as peoples pets) but also in a more human like form. In fact, troll maidens were said to be outstandingly beautiful and would sometimes visit human villages to partake in celebrations. So, yeah. If you treated them well you could be given riches and get lucky with your hunting trips but if you were rude or somehow insulted them they could go into your barn and switch places of the tail and the head of all your animals (there's a story where that actually happens). Basically they're chaotic neutral shape shifters who run around in the woods and sometimes kidnap people. In Finnish folklore, we have both Norwegian-type trolls, called "peikko", and Danish-type trolls, called "menninkäinen". I wonder if at some point Trolls in Denmark interbred with humans and eventually lost some of their troll-ish features.